This year is definitely going to be all about throwing very little waste away! Trending in 2016 is the ‘root-to-stem-dining’ concept wherein chefs all over the world are using everything from the tender stems and leaves to flowers and what not of the vegetables. You can use these so-called veggie trashes in almost every kind of preparation – soups/stews, salads, sauces, sautés, roasts, side dishes, pickles, garnishes and even desserts. However, the simplest strategy to use the veggie wastes has to be the super flavourful yet exceptional ‘vegetable stock’ that you can make with them. Just simmer them in water alongwith the basic ingredients that you use. Once the stock is done, use it in the preparation of other dishes like you do and experience the burst of flavours – trust me, it is going to be on another level! Your homemade vegetable stock can easily become the star for any dish! Stems and stalks – Awesome pickles with asparagus and cauliflower, healthy smoothies, juices and soups with celery and candied fennel stalks. Did you know that you can even substitute the simple syrup in drinks with fennel stalk syrup? Greens – Add these tender greens/leaves in salads for the ultimate freshness – beet, radish, broccoli, cauliflower and leek. Young tops – Blanch tender carrot tops with the leaves and use in sautés, salads, stir-fries, pestos and smoothies. The onion tops can be chopped and added to mashed potatoes with herbs for a great sidey. Needless to say, both can also be used as pretty garnishes! Others – Don’t throw away the jackfruit cores. Instead, use them with the flesh to make a spicy kathal ki sabzi or just grill them on a barbecue. Roast watermelon seeds, season and use as a crunchy nutritious snack. And then lemon and orange peel zests have always played their part in making a dessert classy! P.S. – Talking of discards becoming delicacies, Indian cuisine has always had this technique, especially with the Bengalis. Like the omnipresence of the entire banana plant in their culture. Read mochar ghonto – an earthy preparation made of tender banana flowers (not exactly a waste!) with Bengali spices and thorer ghonto – a similar preparation with the banana pith/plantain stem (now that’s definitely a waste!). These are just two, while the list is endless! I can tell you with my personal experiences that these arty people somehow have a knack to use the wastes. Amongst the popular ones, the variety of preps that they come up with, even with the peels/skins of veggies is something quite unbelievable – that is, until I tasted them! Everything from the unusual pumpkin, bottle gourd and green banana peels to the usual potato peels get used. They are simple, subtle yet unique in their own way! As someone rightly said, ‘Rather than preaching about wastefulness, why not start with the satisfaction of good cooking?’ True that. So, get onto the bandwagon and make this as your practice for it does all good, and no harm! And share your favourite recipes, tips and tricks on how to master cooking with wastes. My 1st post in the series on ‘lessons from the past’ I spoke about the might chicken tikka masala and how it came into being. I also hinted that I am going to speak about the king of spices in my next post so here I am sharing the early story of salts’ best friend and the most indispensible spice in every kitchen – pepper. Ever though that pepper, a spice which you almost carelessly throw into every recipe was once so precious that it was used as a currency? Yes pepper, a native to the Malabar Coast of Southern India, was used by traders during the middle ages as an important high currency tool for barter. There was even a time when pepper was worth its weight in gold. 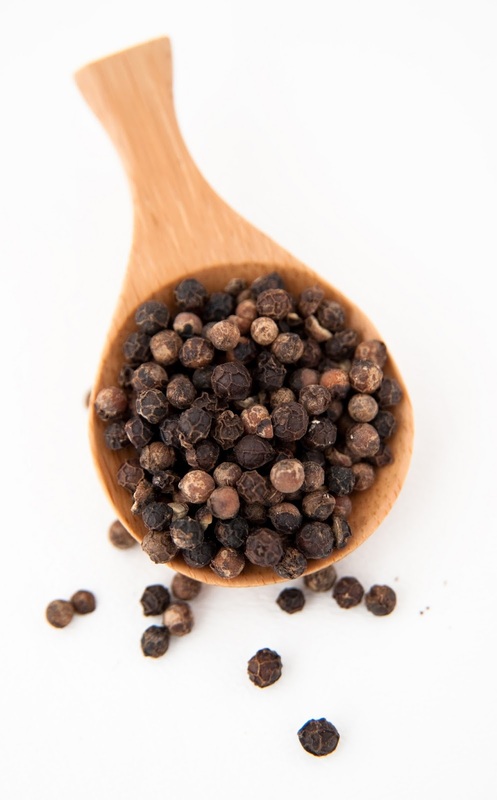 For several years the western part of the world was oblivious to pepper, till Arab traders bought peppercorns from India and other Eastern countries to them. Initially, traded on the popular ‘silk route’ it made for a very high profit margin and the Arabs grew rich furnishing the Romans with pepper. To protect their monopoly over the pepper market the traders built false stories about the difficulties and dangers on the route to procure the spices. Such was the craze for the spice that Roman grocers often blended juniper berries in with peppercorns to stretch the product and increase their profits. This pepper frenzy of the East finally got solved when English travelers discovered alternative trade routes to their beloved spice. Pepper probably changed the course of history by being the single most important factor in the European search for sea routes to the East. Eventually pepper plantations were set up in different regions across the globe and the precious spice became available to the common man during the 1800’s. Black, white or the slightly lesser used green and red varieties of this magical pod have found place in several cuisines globally! 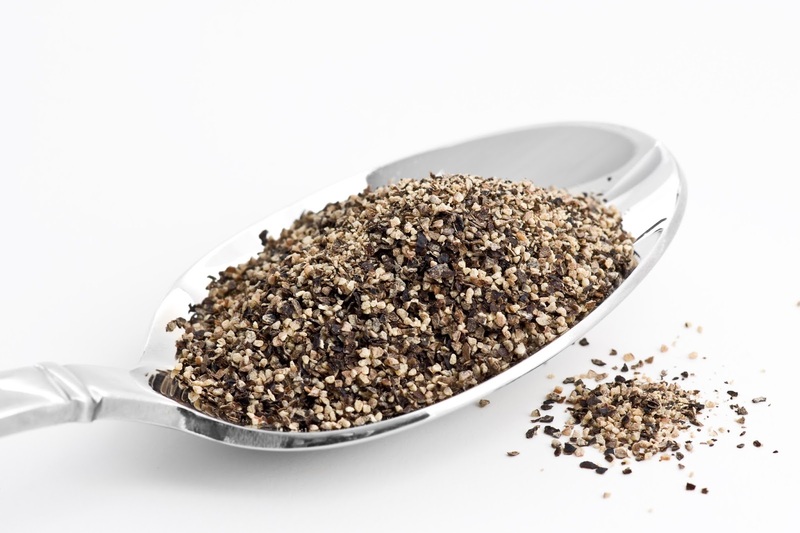 The earthy spicy taste of pepper adds the necessary zing to any dish without taking away from the main ingredients. Pepper is used in most savory dishes, but sweets aren’t really supposed to have the kick of pepper in them. Well, I though why not, and went ahead and added a hint of coarsely crushed black pepper to a classic malpua batter and the resultant dish was mind blowing. The sharp, clean pungency of crushed pepper compliments the sweetness of this deep fried, sugar soaked traditional Indian flat bread brilliantly. Here’s the recipe – Black Pepper Malpua Recipe – Enjoy this Indian Mithai in a different way. Don’t forget to tell me how it turned out. Stay connected on facebook, twitter and instagram. Coming up next in this ‘lessons from the past’ series of accidental inventions, ancient discoveries and awesome evolution stories is something that was just chanced up as a byproduct from making butter. ‘He who never made a mistake, never made a discovery.’ – This quote by James Augustine Aloysius Joyce got me questioning if necessity really is the mother of all invention, or are most inventions products of simple mistakes and accidental experiments that turned out to be much greater than the maker ever expected. In this series of blog posts I am going to share with you about out the origins of some of our most favourite recipes, ingredients and kitchen tools and how they evolved from being an exclusive commodity to an easily available integral part of kitchens the world over. There are several stories revolving around the creation of this dish that is so Indian yet is in the running to be Britain’s National Dish. Legend goes back to the mogul era when Emperor Babur ordered for meat to be cooked without bones, because he feared choking on them. When these boneless grilled ‘kabobs’ or kababs, as we know them today, were served to the Brit population of the time, they found it too dry and requested that it be served with a sauce. Like any good chef would, the khansamas of the time plied to request and tossed the succulent kababs in a creamy tomato sauce or masala. The resultant dish was an instant hit amongst Indian locals and the Brits alike and came to known as the Chicken Tikka Masala. Recent claims of it having been discovered in a restaurant in Glasgow have re-opened debate about this notorious dish. The world’s favourite curry is not new to controversy so whatever may be the origin of this dish, fact remains that Chicken Tikka Masala is one of the 1st and finest examples of fusion cuisine. Thanks to Emperor Babur’s paranoia and fussy English lords we got a dish that effortlessly blends Indian Masalas with mild International flavours to create a dish that is universally loved by all. Today, every different place has a different version of the dish but for me the original manages to strike all the right chords. I like my chicken tikka masala cooked just the way it is supposed to be – chunks of tandoor grilled boneless chicken in a yogurt and tomato based sauce along with some char grilled capsicum, tomatoes and onions thrown in for good measure. Along with a crisp butter naan it spells comfort food for me. No twists and turns on this stalwart. Stay tuned for the next blog post in this series. I am going to talk about the king of spices, it’s very exciting story of origin, claim to fame and one of my favourite experimental recipe using it. Any guesses what this spice bomb could be? Share with us your experiences in the kitchen when an accidental addition of an ingredient or quick fix trick turned out to be the best mistake you ever made. Also tell us how you liked this read in the comments section below or connect with us on Facebook and twitter. The Indian one-pot dish khazana! What’s the best way to simplify your meals? It’s the super one-pot dishes that win hands down! And everybody loves it. For these can be done in just one crock pot with ingredients off the shelf or from the refrigerator. No elaborate preparations – just the usual ingredients and the right way – and you got them doing the magic! Different cultures have their varieties of one-pot dishes which have evolved with time, even India has always had these super bowls! Probably, it was us who came up with this concept, who knows!? Much of a world trend today, these comforting pots can even become the star-performer at your next party. Presenting some of my favourite Indian recipes, all of which, are full of goodness and reach the table in a large pot for that sure-shot satisfaction. Khichri, literally translates to ‘hodge-podge’ in English, lives up to its name for it is the ultimate mish-mash of rice, lentils, vegetables and sometimes dry-fruits too. This is the ultimate comfort food of the Indian subcontinent and varies from region to region. Accompany it with its chaar yaar – ghee, papad, dahi, achaar, and your Sunday will be made! For the meat lovers, there are the popular khichra and haleem – both pretty much similar in nature. Wheat, meats like mutton/chicken, lentils and spices thrown in a pot with ghee and water and slow cooked to give the ultimate mélange of flavours! Garnish with fried onions, fresh coriander and serve with lemon wedges and onion rings. Also, popular during the Ramadan and Moharram months as there cannot be a better way to break those strict fasts! …is the famous one-pot dish dalcha which is nothing but an Indian stew made with mutton, lentils and spices, tempered with a tamarind base. Flavourful, hearty and too good to miss out! Other variants include kaddu ka dalcha (made of bottle gourd) and char dal ka dalcha (Bengal gram, pigeon peas, red lentils and green gram minus the meat do the trick in this!). Ruling the roost with rice! Rice being a dominant crop in India sees its use widely in numerous recipes. Talking of the classic one that fits in the category of one-pot meals is the pulao, which is simple yet tasty. Rice browned in oil or ghee, and then cooked with vegetables/meats in a seasoned stock. Unlike biryanis, the ingredients in a pulao are not layered. Alternatives include tehri/tahiri (basically a vegetarian biryani, popular in North India), bisi bele huliyana (a South Indian special including vegetables , lentils, sambhar powder, dakshin masalas, a crackling tempering and lots of tamarind) and mishti pulao (a sweet one from West Bengal) to name a few. Talking of the fabulous Indian one-pots and leaving an earthy biryani behind, too unfair! Hence, a separate section! Yes, the list will never be complete without these tasteful preparations for biryanis are visual delights: layers of beautiful array of long-grained rice, tender meat, pungent spices, nuts and most often, orange strands of exotic saffron. Cook it on dum and experience the flavours. To add, forgetting a raita alongwith it is almost a crime! Instant happiness and gratification is definitely guaranteed with a biryani, always! And then, there are these quintessential preparations that are essentially not one-pot meals but can be turned into one – rajma-chawal (perfectly cooked kidney beans in a rich tomato gravy with aromatic steamed rice), kadhi-chawal (batter fried onion dumplings in a flavourful yogurt gravy with steamed rice) and curd rice (as obvious as the name – rice and curd, tempered with mustard seeds, asafoetida, red chillies and curry leaves). 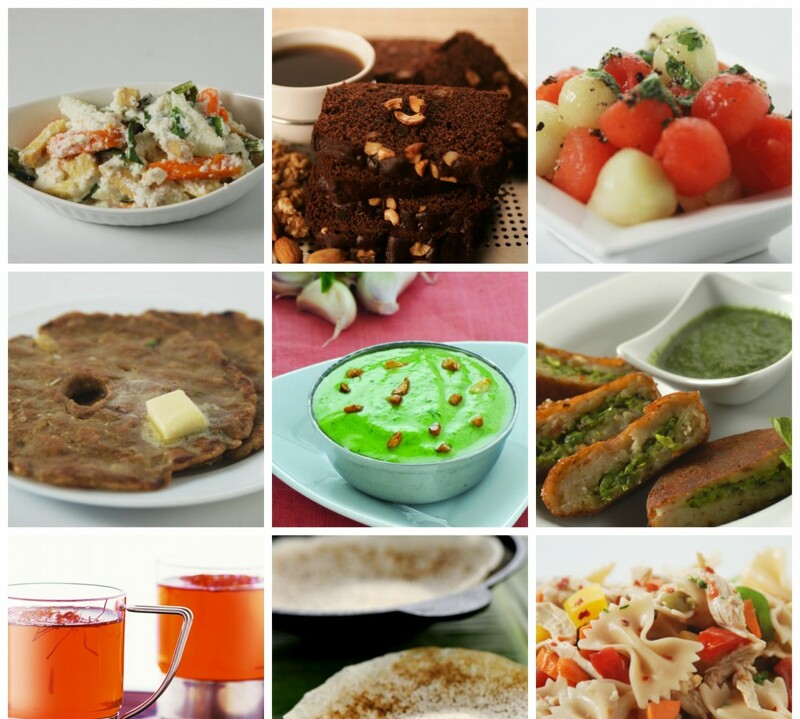 Www.SanjeevKapoor.com is the place to check out for all these recipes, alongwith many more. Don’t forget to share your favourites! Heard foodies and gourmands talking about Sriracha being a hot trend this year? If not, then we tell you – its definitely trending. ‘Ketchup with a kick’ is what pro chefs have been terming this fiery and tangy chilli garlic paste which is nothing but a blend of peppers, garlic, sugar, distilled vinegar and salt. The name has its origin to the district ‘Si Racha’ in Thailand. And the reasons for it going mainstream? Simple – the versatility it possesses! Its tasty, and not only sharp and piquant, but has body and balance too! Hence, people like it and restaurateurs are swearing by it. From burgers, sandwiches to cocktails and desserts – sriracha has been ruling the roost since last year and still is fashionable. Sriracha Bloody Mary, anyone? Or maybe Sriracha Lollipops, what say? We have been working with this cool-hot ingredient in our kitchen and we pretty much believe that it is quite addictive! It can make a simple dish unique and do wonders with the taste. A humble Grilled Veggie Sandwich can be glamorized with this sauce. Here’s what you need to do. Easy does it! Begin by marinating the veggies of your choice with oil, crushed peppercorns, salt, chilli flakes, fresh thyme and garlic – zucchinis, green tomato, red tomato, onion, and brinjal is what we chose. Grill these lovelies till perfectly golden. Time for some sriracha! Mix mayonnaise and the super sauce and spread it on toasted bread slices. Top with some crisp lettuce and grilled veggies. End by covering to make a proper sandwich or just serve like that for an open sandwich. The choice is yours. Also, meat lovers can experiment with as many options as they want. Sriracha any which way goes great with all kinds of flesh! Moroccan Chicken Meatball with Arugula – replace the harissa sauce with sriracha and taste the difference. Toss up a yummy Sichuan Fried Rice with sriracha instead of the very oriental Sichuan sauce. Tabasco gets replaced with sriracha in the simple yet tasty Spinach Feta and Tomato Omelette. A very different version of the desi Chicken 65 minus the red chilli paste, plus the sriracha. Still thinking as to whether to get a bottle of sriracha or no? We advise, you certainly should as it is one hell-of-a-sauce! And don’t forget to share your sriracha recipes with us. Move over Tabasco, Schezwan and other hot sauces for it’s the age of the sriracha!